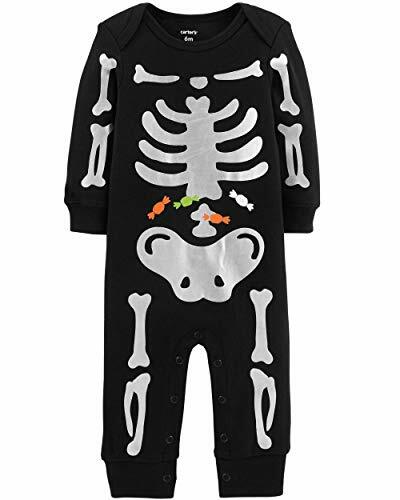 With this easy Halloween one-piece, he can be a skeleton! Complete with easy snaps at the legs and crafted in soft cotton, this jumpsuit is a holiday favorite. So Cute! Made with 100% soft cotton interlock knit, gentle against babies skin. Shaped like a pea pod! Simple green long sleeve gown with green pom poms down front. 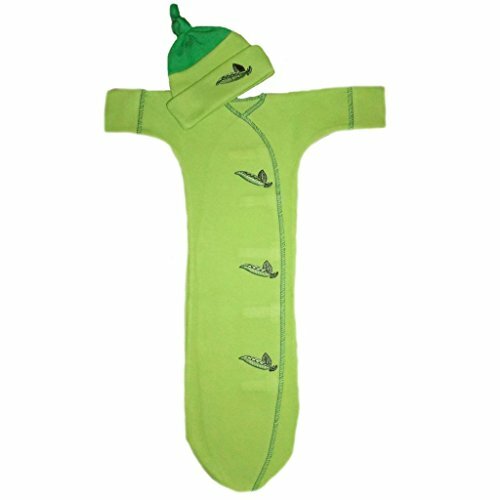 Fold over mitten cuffs to protect baby from scratching. Velcro closures on front for easy on/easy off dressing. Closed at bottom to keep little feet warm. Matching green hat with a darker green knot at top. Adorable! 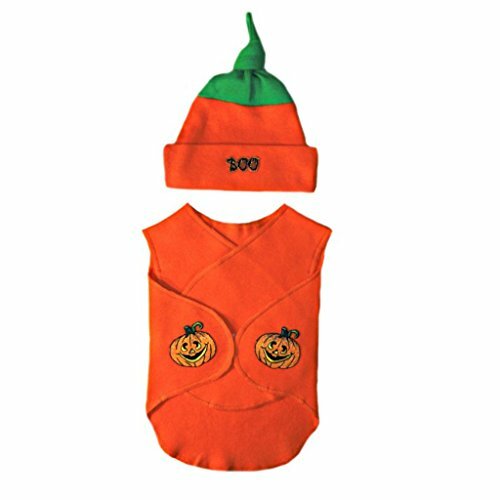 Perfect for Halloween, costumes or any day! Four sizes! Micro preemie for babies weighing 0-3 pounds; preemie 3-6 pounds; Small Newborn 5-8 Pounds and 0-3 months to 12 pounds Please select size when ordering. By Jacqui's Preemie Pride, Inc. Very Cute! 100% soft cotton knit. 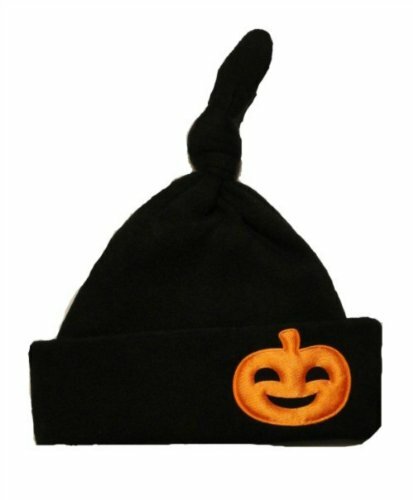 Black knotted Halloween fall baby hat with orange pumpkin applique. 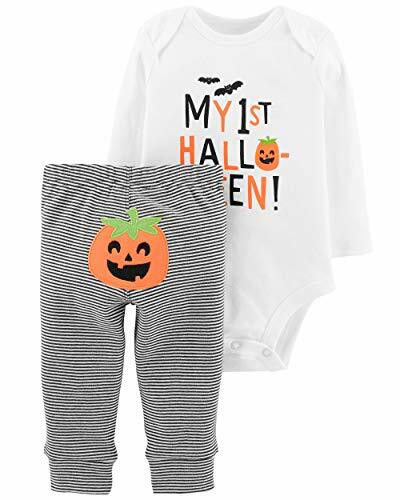 Available in seven premature baby, newborn and infant sizes. By Jacqui's Preemie Pride, Inc.
Adorable! So soft and fun. Opens flat, wraps around baby. Gentle against babies skin. Soft 100% cotton knit sleeveless wrap two velcro closures. Features overlapping front panels for easy monitor access, no interior seams, labeled for easy removal, adjustable for snug or loose fit and longer in back for better coverage. Orange wrap with green stitching, smiling pumpkin appliques on tabs. Orange pumpkin hat with kelly green stem on top. "Boo" applique on brim. By Jacqui's Preemie Pride, inc.
As manufactured, these goods originally had a Walmart/pricing label, which has been altered or removed. Color: DON'T SCARE ME! I Poop Easily! 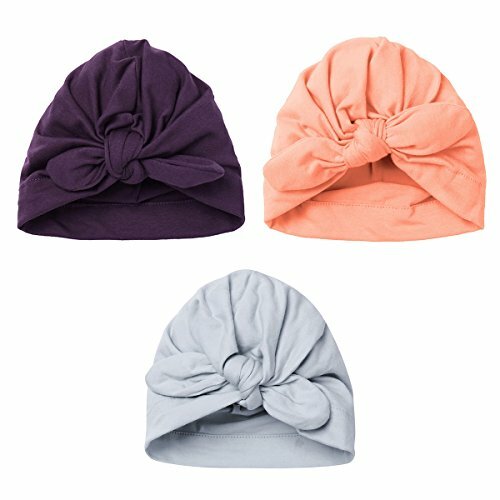 Newborn Baby Hospital Hat Cap, Fits 0-6 Months Baby. More from Inside Edition: https://www.youtube.com/user/cbstvdinsideedition?sub_confirmation=1 Neonatal Intensive Care Units across the country are celebrating Halloween with costume contests. Premature babies dress up as superheroes, pumpkins, skeletons, mermaids, ladybugs and other characters. Families have a great time planning their costumes and posing for pictures. The contests also lend families some much-needed normalcy. 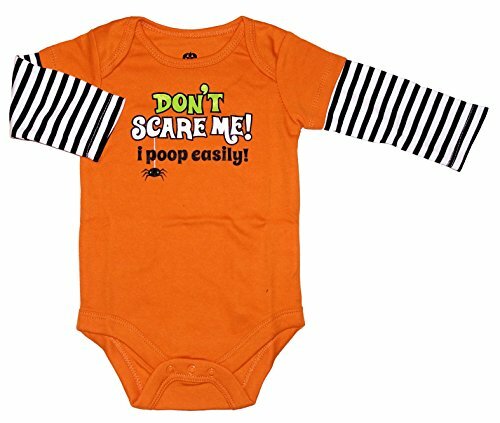 These babies are conquering the scary season one costume at a time!